I know it’s a long shot, but lets give this a try. Wonderful name for a pretty doll. Meep!! I love her purple hair! 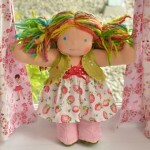 I Really love all the gorgeous dolls you make, and would love to win one for my limitless Sophia!! She’s really working that outfit! 😉 Love it! Would love her for my little one. 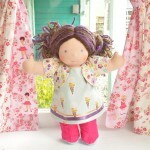 Cute little doll, would love to have her for my grand-daughter! love the purple eyes!!! my daughter would go crazy for her. Lovin the dreds!! Sign me up, and Thanks!! I hope Amanda can join our home! She is lavender-licious! How I love your dolls guys! Amanda is one special little lady! dreadlocks get me every time!!!!!! Love the purple in her hair! My daughter loves this doll!!! would love a chance to give her a new home!! thanks!! She’s lovely. We would love her. want him for my son sooo bad!!! Looks just like my son Mason!! We would love a boy for our boys! He’s a cutie! He’s adorable!! Would love to make him part of our family!! Would love to get Him !!!! so I stop beeing NEWBIE !!!! I have a been a Bamboletta newbie forever! I would love this little guy!! he will be our first boy!! love him!! Cute little boy, would love to have him too! My son is in love. Sammy’s a cutie! My nephew is SOOO desperate for a little boy Bambo! I’d love to make his day! We need a boy in our family! My son has been dying for a Bambo since his two older sisters got them for Christmas and this little guy is perfect! my little guy would love Sammy! He is just tooooooooooooooo cute for words! We would love to be entered into this draw! My Sam NEEDS this!! Thanks for the chance!! enter us! he is adorable! thanks!! Her hair is so pretty!! Would love to bring her home! Oh wow…….that hair!!! love, love, love!!! Wow, her hair is amazing. We love her sooooo much!!!! LOVE her hair. My youngest would be so happy to have her! my little girl is in love she is so sweet! Would love to give this beauty a home! She would be so perfect for us!!! Oh, she is beyond sweet! This is the rainbow we have been dreaming of!! She is perfection!!! Yes Please!!! 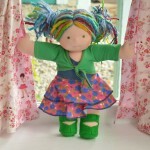 Please make more of the dred-y dolls, I am in love with the dreds..
She would be perfect for my daughter. She is gorgy!! Been a newbie forever!! we’d love a rainbow girl!! Oh squee!! I hope! I hope! She’d be very loved at our house. OMG! Her hair is amazing! OH MY..Christie is a just an adorable Dream! She’s a real cutie this one. Would love to have her. She is a sweetie! LOVE! What a beautiful girl! Love her! Her hair is so cool! A rainbow with dreds… gorgeous. I would so love to have her come to our family. She would love to join our family and we think she is adorable! She is gorgeous! My favorite one yet! WOW she is a beauty, Christie would be very loved here!! she is simply amazing!!! thanks!! Love the length of her hair! She could not be any cuter!! This baby would get lots of love at our house. Such a pretty rainbow for hair! Absolutely stunning. We would love her! I am thinking this is a sign! She is exactly what I have been waiting for AND she has on a strawberry dress. Thanks for the chance. Oh she is gorgeous! would love a chance. She’s an explosion of colour! LOVE! She is a cutie, love the colors. She is beautiful, we would love her!!! I found my pot of gold at the end of the Rainbow……. !!!!!!!! I’m in <3 with her hair! Yes Please 🙂 She is gorgeous! Love her vibe–she looks like she’s ready for Lollapalooza. Gosh I would love this beauty as my first Bamboletta!! To eat you! So sweet! Beautiful hair on a beautiful doll! A lovely one she is……..
Love this little one and her cute outfit! Lovely smile, beautiful dreads, perfect outfit! Precious Presley! Lovin the rainbows!! Thanks for the chance!! She is amazing. Love the rainbows.!! LOVE the eyes on this one!!! Pretty in pink and I would love to have her join our family! OH MY SWEETNESS!!! Presley is GORGEOUS! So sweet! DD would love her! Presley is amazing. Thank you! oh presley, i love your strawberry skirt!! OH my adorable!!! would love a chance for her to come here and live with my 2 bamboletta loving girls!! thanks!! My M would love her so much! My lil Hudson would love him! My son would love him! We’ve been on the hunt for a red-headed boy! Ashton is perfect! We would love to have him in our home! 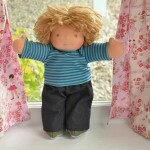 Haven’t seen a doll like him in a long time!! Love the red hair and freckles combination. He is absolutely adorable!!! Oh, boy! The boys on Serendipity today are fab-u-lous! Nicely done, ladies! want him for my son!!! pleeease! What a sweetie! My son fell in love with him the minute he saw him and so did I 🙂 Here’s hoping! Oh he is such a sweetheart! hoping this gorgeous guy comes to visit us. We LOVE him! He’d be perfect as a companion for my little guy. I’ve never seen a doll so cute! Oh, Sweet baby Ashton! He would find a good home with us! Awesome boy! I agree, one of the best boys ever! Everybody has a Bambo except our fourth – we need a boy!! Totally swoon-worthy … he has the sweetest face. 🙂 He’d definitely be welcome here! He would love the islands! Oh please, Bambo gods, shine on us this time. He is Bambo-perfection. Boy oh Boy, what I would give for this little guy!!!! Please !!!! Make me a winner with this BOY and stop me from beeing a NEWBIE !!!!! He’s just perfect for my little guy. Here’s hoping! He is the most perfect doll ever! Love him so much! Would love a boy! 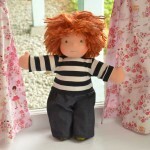 Been trying for a boy doll for years — son’s birthday is next week so hoping now is our time!! Precious Ashton!..We need a handsome fellow living here with us! He has the cutest freckles! will be fantastic to have brother for our girls! A little boy would be great to have too! I want a boy so much! Oh my he’s a cuties! this is the cutest boy I’ve ever seen! The little boys just melt my heart! we sooooo want a boy! my son has been wanting one for a year!! Aww, he is so cute. Squeezes my heart! My little guy would love him! He’s gorgeous! A perfect match for our son!! Holy smokes! That’s a whole lotta cute! How cute! I’d love to give him a home. he is adorable and looks like my son!! Please enter him! thanks! he’s wonderful. I”ve never had a bambo boy and he is exactly what I’m looking fr! OH MY! he is the cutest boy ever. I would love a freckled little ginger guy.